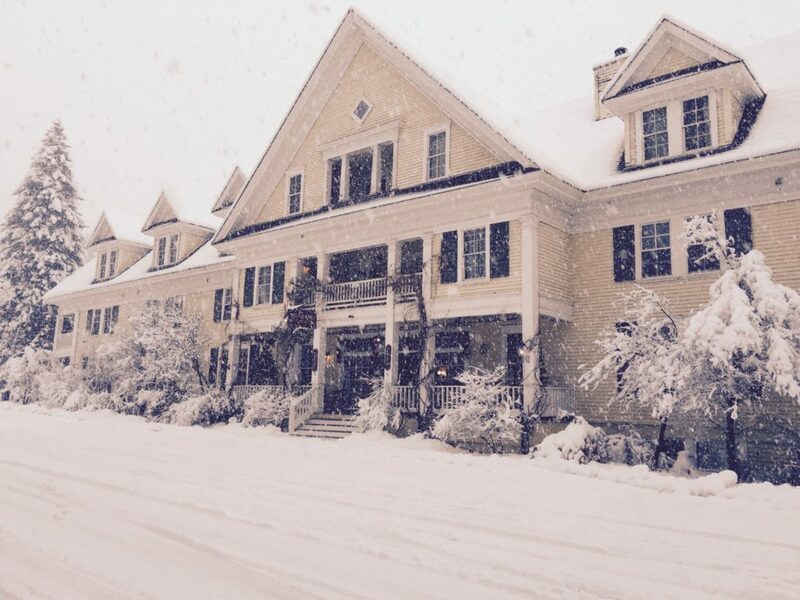 The current McCloud Hotel building is actually a replacement for the original (built in 1915). 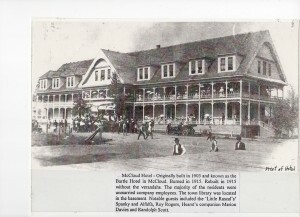 This is a picture from 1903 of the original building. Wish we still had the wonderful old balconies! 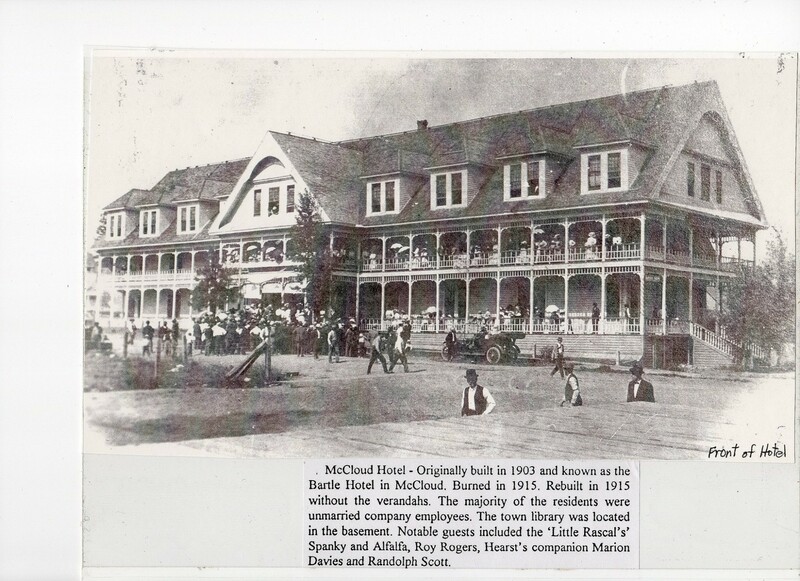 Many thanks to our local museum for publishing this old photo!